We all like to look for dishes that give us wholesome food for the family. Lamb is meat from a young sheep and often available in different cuts to suit different methods of cooking. It’s also possible to get lamb mince that we can use to make our own meatballs, burgers and patties. In response to the question “I know that I should avoid fatty cuts of beef and pork, but what about lamb? Is it okay?” Oprahs resident doctor David L. Katz, MD responded that there is no good reason to avoid lamb. While also mentioning knowing how the animal has been raised being important, he stresses that grass-fed animals have higher amounts of omega-3 fatty acids than grain fed. A good source of high quality protein. A good source of heart healthy omega-3 fatty acids. A good source of iron. A good source of vitamin B12. A good source of zinc. Reduced fat with good cooking practices. Almost any dishes we cook with beef can be replicated with lamb. 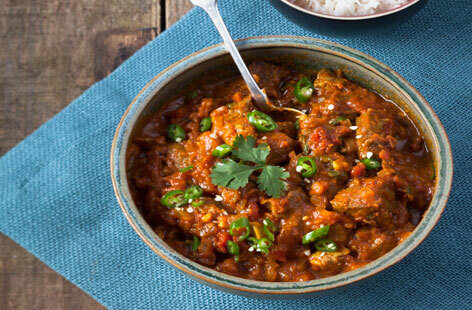 Lamb has an almost gamey taste which is ideal for curry or for slow cooking. Lamb shanks make ideal soup broths and do very well roasted but it’s important to know which cuts you are buying. Lamb fillet and chops can be expensive to buy and your butcher can advise you on the best cut for the meal you plan to cook. Cheaper cuts of lamb are ideal for slow cooking as the process tenderises the meat. Shoulder cuts can be roasted as a joint with vegetables and is ideal for cooking in a roasting bag. The juices will flavour the vegetables and with some herbs and spices it makes for a dish that can taste differently each time you prepare it. As an alternative, shoulder is ideal for stews and casseroles and also does well in a slow cooker. Scrag and neck really need to be cooked slowly to get the best out of them. The best option would be to dice the pieces before cooking to maximise the cooking process. Chump is a cut that can be treated like a steak and grilled, roasted or shallow fried. The breast of the lamb can be fairly inexpensive and needs cooked slowly. It is quite fatty but the fat can be cut off or poured off after the cooking process. 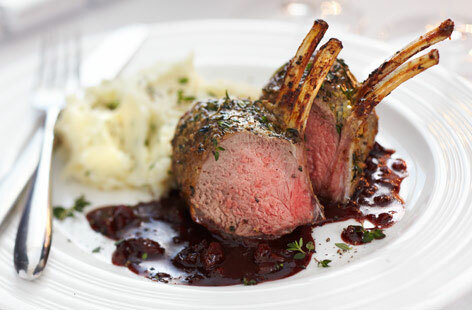 The most famous of lamb recipes has to be the lamb rack. It’s impressive and couldn’t fail to make a splash on the dinner table if you are entertaining in the holiday season this year. What to do with leftovers is always something to think about. Lamb curry is an idea way to use up leftover lamb and make a delicious and filling meal that will fill up the family. I grill my meat but I can never get Lamb quite right so I usually roast it. Lamb isn’t something we eat very much as it’s hard to think of eating little sheep. The pictures do make it look tempting though. I love lamb, made some glorious braised lamb shanks the other week.